If you were to describe January what would you say? Off the top, I automatically go with Snowflakes. I'm done with Christmas and the reds, greens and bells and trees. I'm all for the beauty and freshness that winter and the New Year brings. Most often people choose a January wedding for the Winter Wonderland approach which can be anything from elegant snowflakes, ice-sculptures or cold climate whimsical creatures such as Polar Bears and Penguins (or even Swans). If taking on a more formal theme, using pure whites or even a rich gold and/or silver will do. 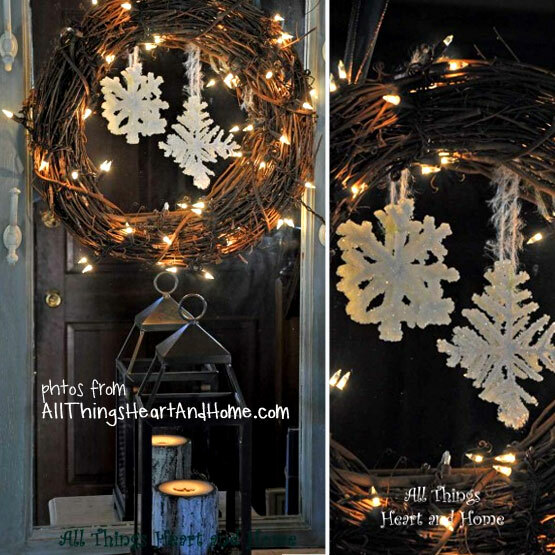 In any case, snowflakes can be incorporated in whimsical, formal and even a rustic theme. It's all in how you decide to reproduce them. They are great to use as the main design element or as a filler decor piece. It's ok to overuse them too! Remember making these in grades school? Did you forget how to make them? I did. My little guy is only 2 1/2 so I'm not exactly re-living grade school just yet, but here's a basic starting point. If you're like me, just winging it on this type of project is not super satisfying. I want to know how to make mine look really cool. So now that you have the basics down, which you should test out and understand before moving on, let's make them more extravagant. 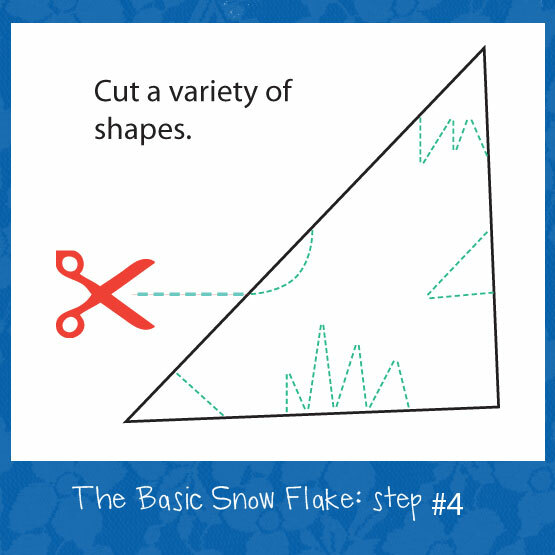 You'll want a sharp pair of fine tipped scissors for making really detailed and delicate looking snowflakes. 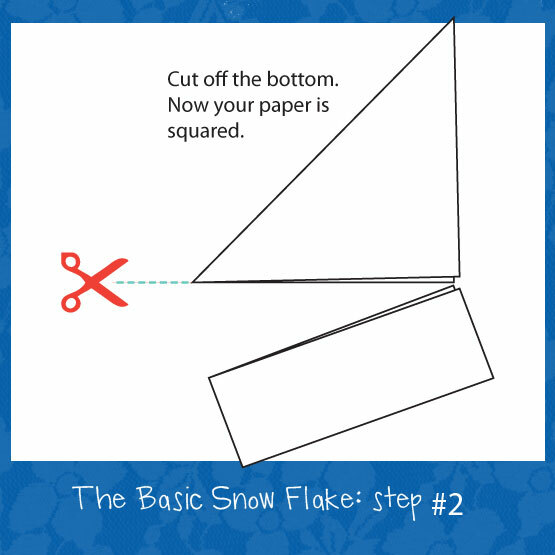 So far, my favorite resource is PaperSnowFlakes.com. 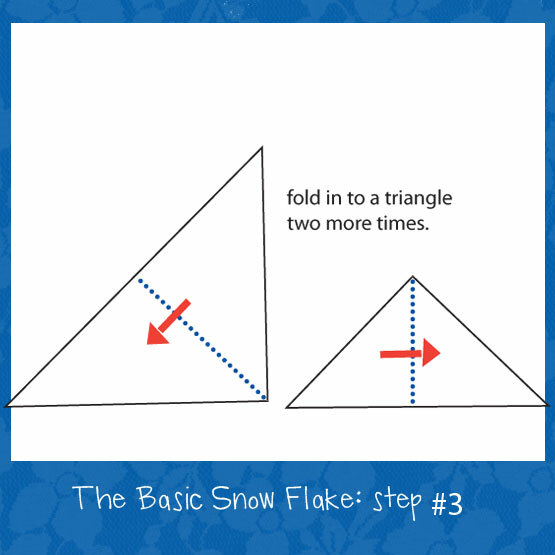 They seem to have an endless list of excellent patterns for folding and creating really intricate looking snowflakes. It's a resource site for children, but just as great for adults and perfect to get many different styles if making millions of these for a wedding. This is an example of how cutting different types of patterns can create gorgeous results. Follow the folding directions and tips from the site. Each pattern is printable from the site, they have a different variety of folding and cutting techniques (2 sided, 4 sided, 6 sided etc). As you can see, after following the folding directions or trying out one printed method, you could roughly draw the similar shapes to make your own. 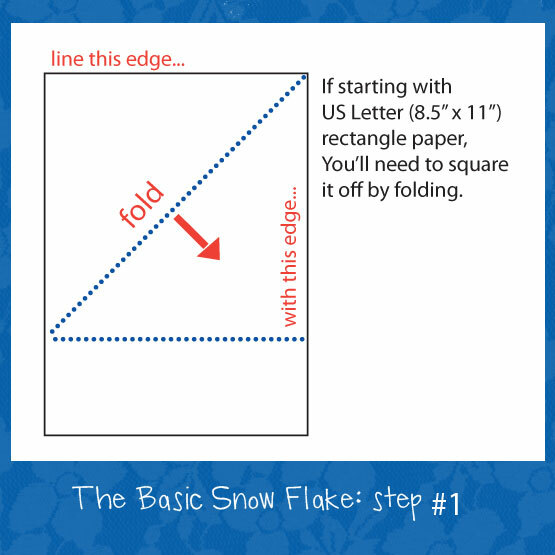 They even have a quick visual tutorial on folding and cutting your snowflake from coffee filters (you how we love how cheap coffee filter ideas!). 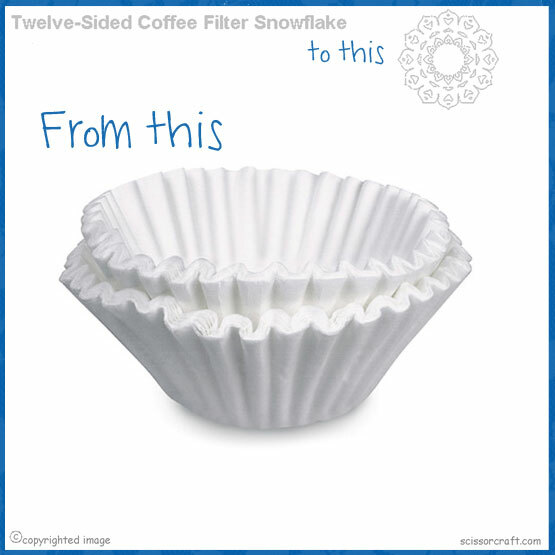 This image was taken from PaperSnowFlakes.com: 12 Sided Coffee Filter Snowflake Pattern - Tips and larger image available at the link listed. 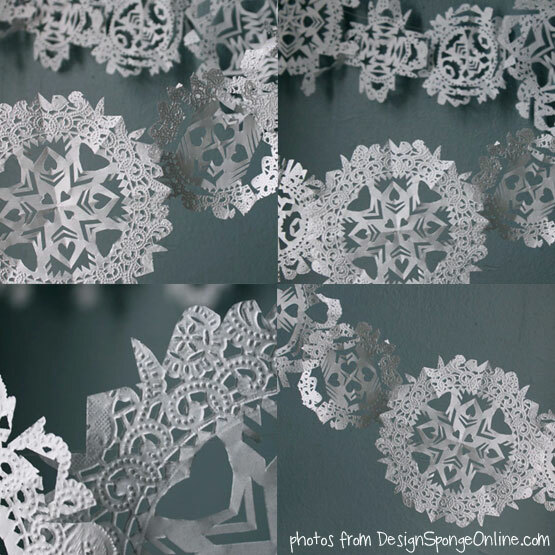 Here's a great way to make delicate looking snowflakes from paper doily's on DesignSpongeOnline.com - Made with Love: Doily Snowflake Garlands. Use them as a garland or not. Snowflakes from paper (or foil) cupcake holders by JellyfishJelly.com - Silver Snowflakes. I personally don't like her end result image on top of the post, it doesn't do it justice, just compare it to the image I borrowed from her smaller set, much better. 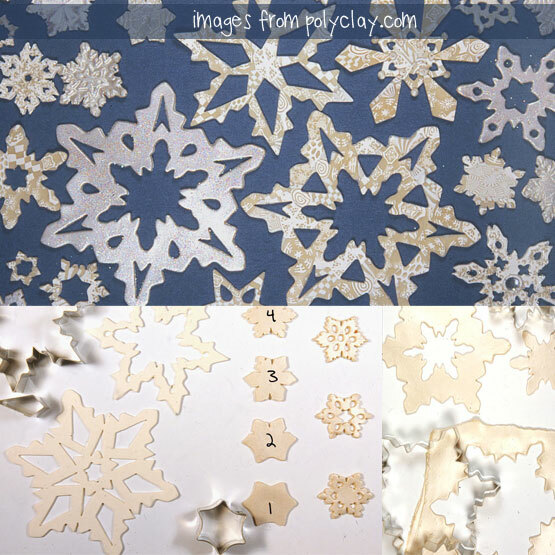 Apply some cutting techniques from PaperSnowFlakes.com and you could have something really pretty. 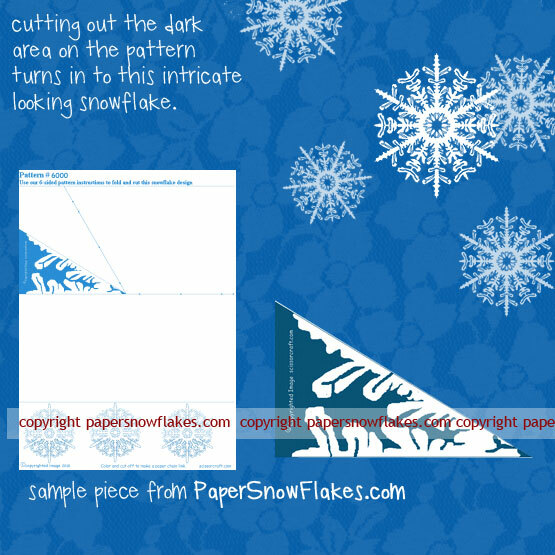 This would be a simple way to get some mini patterned paper snowflakes as you can buy some post holiday print holders to use. 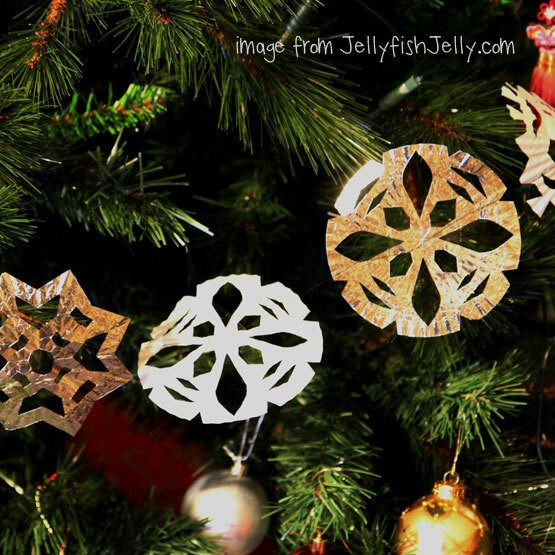 Giant Stick Snowflakes would be great for a background or wall decoration. 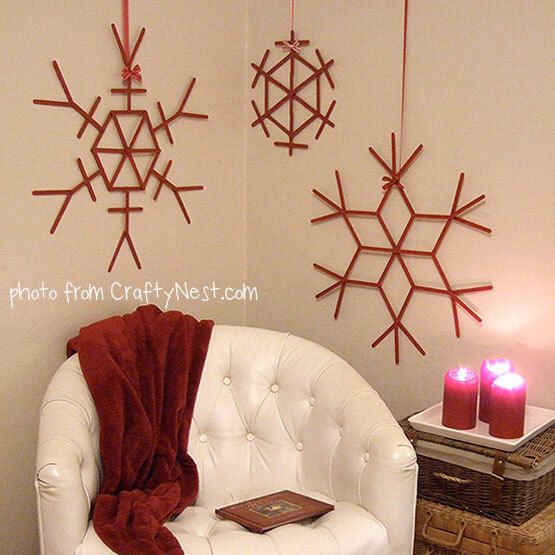 This Tutorial is from CraftyNest.com - Giant Craft Stick Snowflakes. Craft Sticks and Buttons from ByStephanieLynn.com. It was for an ornament, but you can hang all types from ceilings, use on tables, etc. 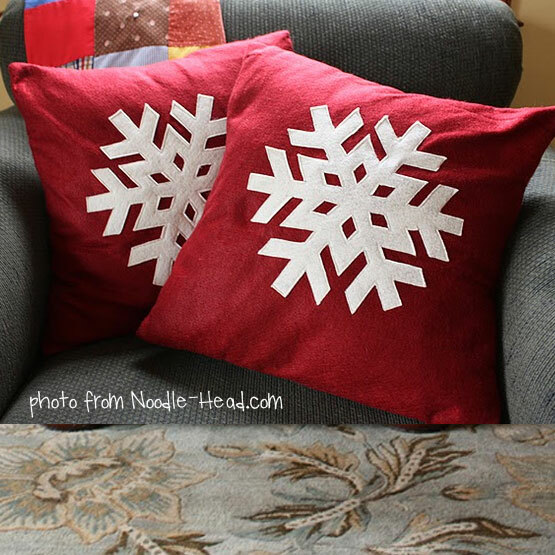 Snowflake Applique. 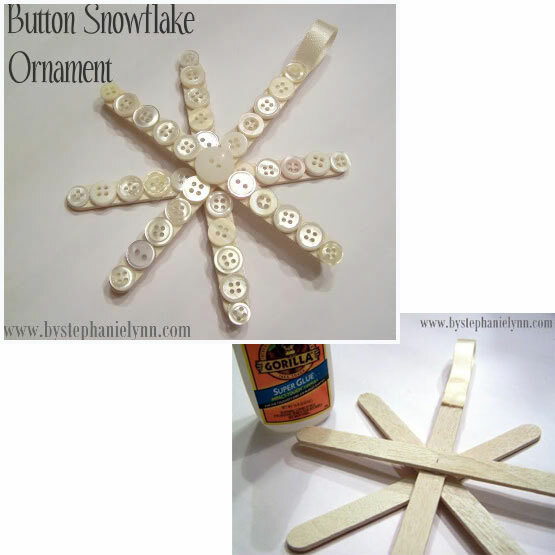 Another great post-tutorial by Noodle-Head.com - Snowflakes (and a mini tutorial). These could be used for chair-back covers, napkins or some sort of table decor or added to a hanging material decor. Depends on how intricate you want to get with a mass sewing project. Lovely! I like your tips articles full of visuals, makes things so much nicer! what a lovely snowflake collection! Happy New year! So beautiful and so much fun! A wonderful DIY for the New Year :) Thank you! Well, yeah, that's what liking craft also means - there is often repetitive work. PS: I'm happy to see you extend to home & craft channels - I'm sure you'll have nice tips to share! :) yes we made all those pom-poms on the last post. :) it WAS an adventure for certain. I'm glad you're excited about the DIY for the other categories. I may also have some for additional categories too but we'll see. Just keep your eyes peeled. I am too more interested in DIY posts.... obviously. lol :) see you out there. :D m.